The Museum of Languages in Leiden makes language accessible and exciting in many different ways. When the Museum of Languages launched in 2016 year, one of the things they asked their audience was to contribute new words that do not exist officially but are used anyway. The museum encouraged people to think about this with postcards, and invited contributions via idea boxes on various location in Leiden and online. In total, 1,000 new words were contributed. Then, the museum analysed and categorised the words to create a game of quartets – designer Robin Stam made an illustration for each word, and the cards come with a definition. In the manual of the game, the museum explains how new words find their place in a language, and how they are typically developed and adopted. The game makes the audience part of the complex and typically opaque development of language. Language is often the domain of experts. The Museum of Languages tries to act as an intermediary between expertise about language and everyday people. 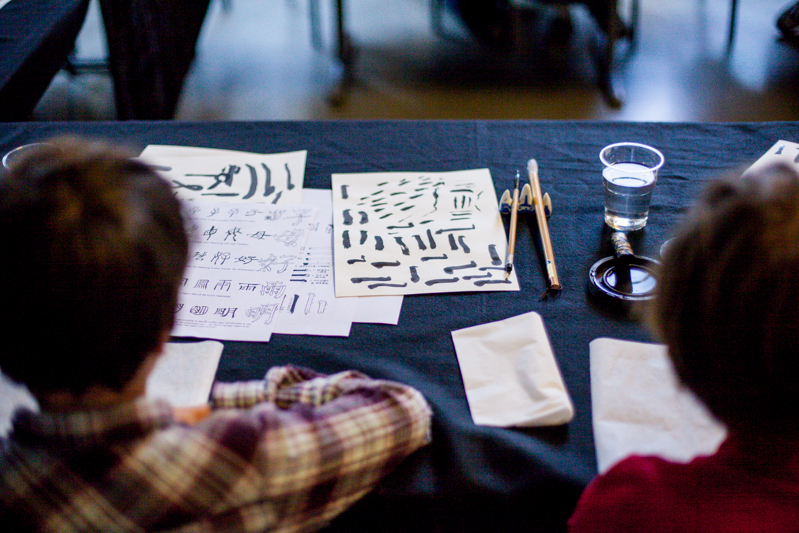 Their exhibition about Chinese languages and script is an example of this approach. The exhibition, which is situated in a public library, follows the personal experiences of one expert Jeroen Wiedenhof with the language and presents his observations, ideas, and anecdotes with videos, photos, and in a catalogue. In their work, the Museum of Languages often makes a connection with events and developments in the public realm, and try to add to this. For instance, Leiden was one of the first cities in The Netherlands with poetry on its walls, just out in the open. By now, over 100 poems in over 30 languages can be found on the city’s streets. 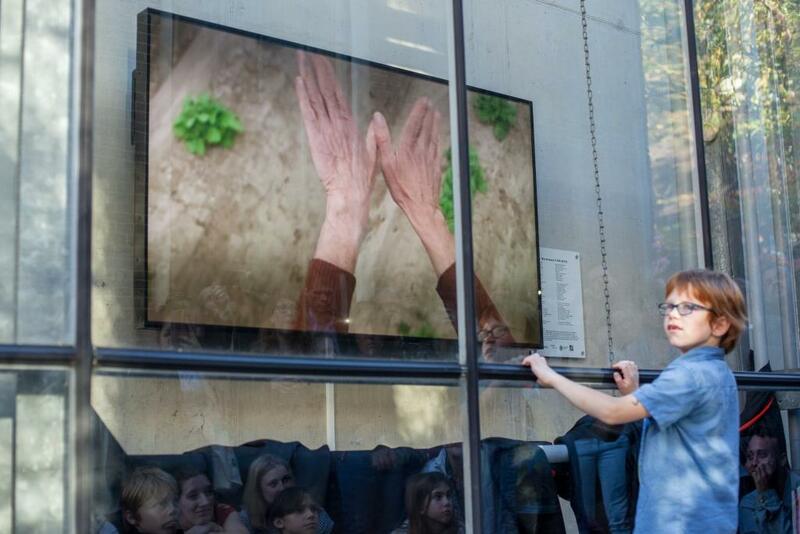 To celebrate the 25th anniversary, the Museum of Languages created the world’s first wall poem in sign language. In many ways, the Museum of Languages is an extraordinary museum. It does not have a permanent building and does not start from a permanent collection. Rather, in a highly dynamic way, it looks for relevant connections between stories about language and various audiences, who often take on an active role in the projects. The museum is a small, nimble institution, rooted in its community, with a considerable impact.